There is no date attached to this photo. 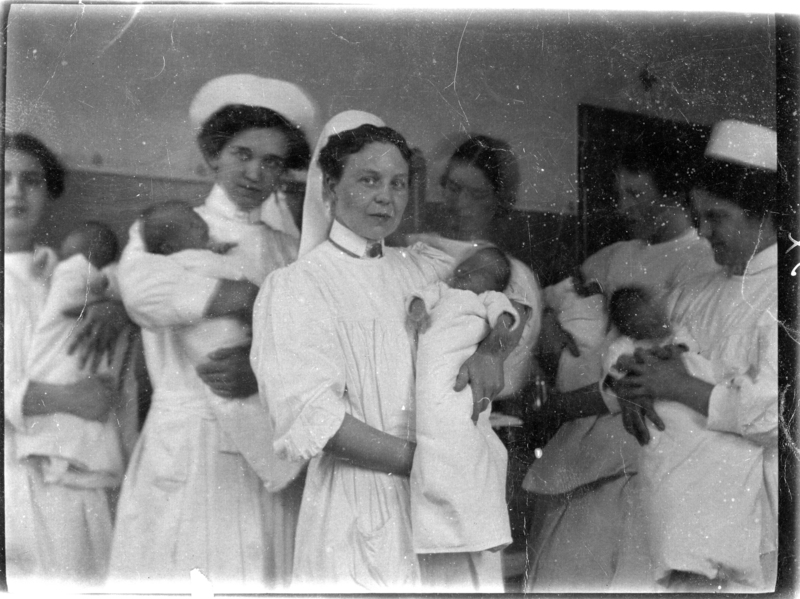 Henriette, all the way to the left (half cut off), worked as a nurse before she had kids. I imagine this was taken sometime in the late teens, possibly earlier. This photo seems exceptionally “real”. The expression of the center nurse is so clear.